Cloud Climbing Beauty: What's New in Campaign 8? If you have not looked at an Avon brochure in awhile or if you do not see them regularly, you may not be aware of the fact that Avon introduces new items every two week period, which we call a "campaign." And I don't mean just one or two items, either! Quite often there will be new items in almost every category - clothing, jewelry, skin care, makeup, bath & body, home, and gifts for both adults and children. And then when the Christmas season rolls around....Wow! 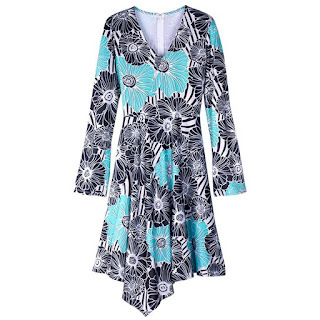 Spring Sensation Dress. 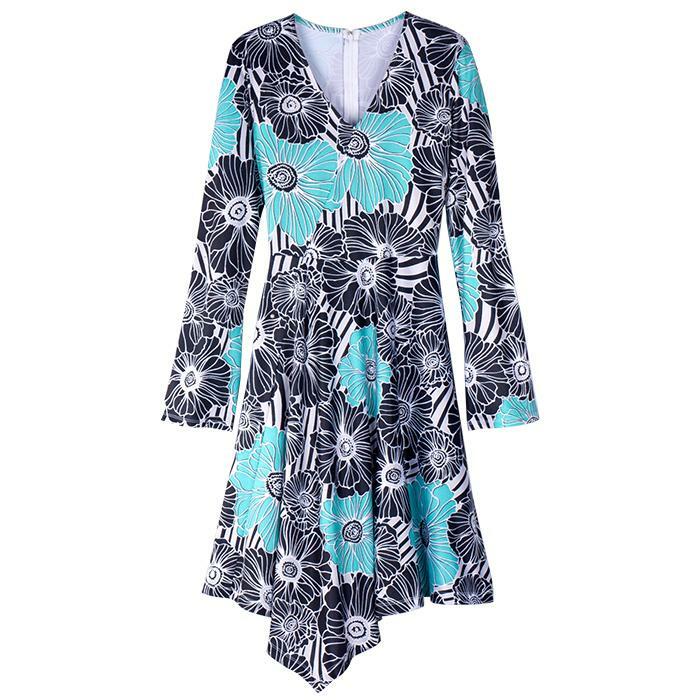 Center back zip on a polyester/spandex dress in a fresh floral print that you can machine wash and dry. It has bell sleeves, a fitted bodice and a flared midi skirt with handkerchief hem in the front. 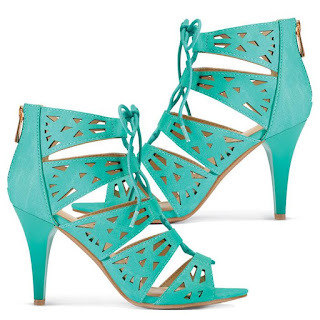 Perhaps you prefer a more casual shoe like the Mixed Media Chunky Heel Sandal. You can put a spring in your step with these neutral tone leatherlike sandals with adjustable closure and chunky 2 1/4" H. heel. And how about this Classic Organization Crossbody Bag? 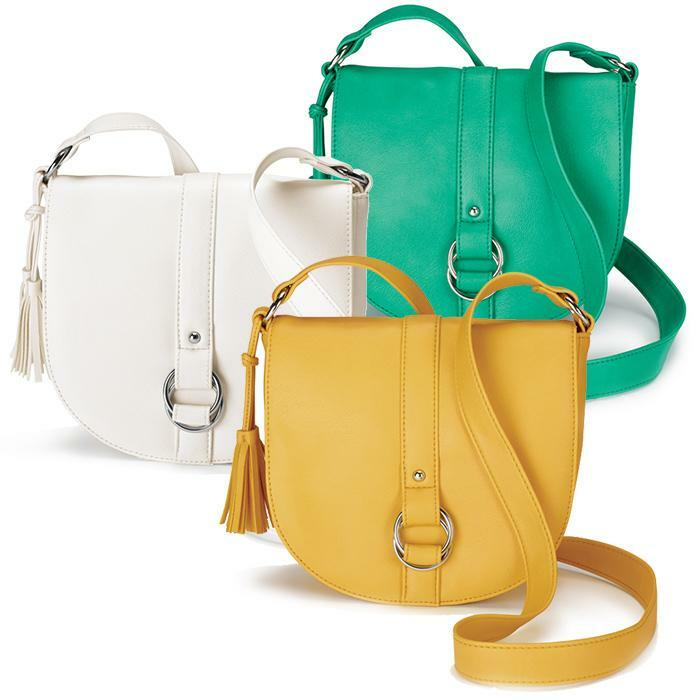 This sleek, leatherlike crossbody has easy-access credit card slots in the front and an outer slip pocket on the back. Make a fun, carefree statement with spring-themed jewelry in our Golden-Eagle Collection. Turn over a new leaf with these nature-inspired looks set in goldtone, like this Necklace and Earring Set. 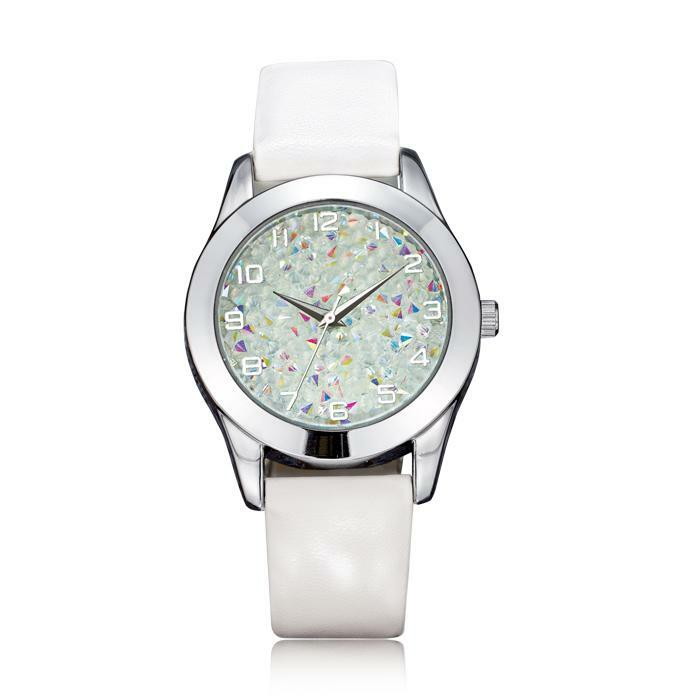 Our Watch Me-Shine Watch has a sparkling dial that will make you stand out from the crowd. 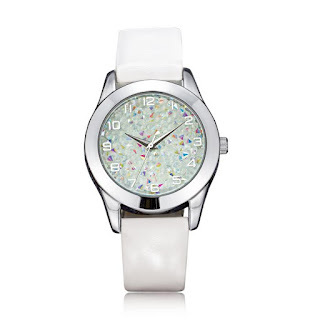 There's a leatherlike adjustable strap and it is available in 4 spring shades: melon, white, lavender, and mint. Since this campaign introduces the Avon Signature Collection in clothing, most of the new products fall into the clothing category. In addition to the ones listed above there are new tops, new slacks, new shoes, and new camis. Check them all out at my eStore. If this is your first order, use the code WELCOME at checkout to receive 20% off of your $50 order.